Chinese President Xi Jinping spoke to “ally and friend” Vladimir Putin on Tuesday to discuss the Ukraine crisis and bilateral ties. “Vladimir Putin and Xi Jinping discussed the exceedingly complex situation unfolding in Ukraine, noting their close positions. They expressed hope that the steps being taken by Russia’s leadership will help decrease sociopolitical tension and ensure the security of the Russian-speaking population in Crimea and Ukraine’s eastern regions,” said a Kremlin statement. The Russian President briefed Xi on Russia’s position on the issue, and measures Russia had taken to tackle the crisis. Xi said “the situation in Ukraine, which seems to be accidental, has the elements of the inevitable”. Describing the situation in Ukraine as “highly complicated and sensitive”, China on Tuesday stressed on a political settlement of the issue and pressed Moscow to “coordinate with other parties” to safeguard regional peace and stability. China supports proposals and mediation efforts of the international community that are conducive to reduction of tension, Xi added. Xi said he and Putin held a successful meeting in Sochi, marking a good start for China-Russia ties this year. In 2013, Xi and Putin have overseen enormous Sino-Russian joint ventures including a massive oil deal with state-run Rosneft, Russia’s largest oil company striking agreements to almost triple oil supplies to China in coming years from the around 300,000 barrels per day (15 million tonnes a year) it ships there currently. The Chinese President on Tuesday expressed satisfaction that strategic cooperation on “relevant big projects” has advanced. Xi also told Putin Beijing wants to step up anti-terror cooperation with Russia. Russia and China had held joint naval drills in the Mediterranean Sea earlier this year. President Putin had earlier sent condolences to Beijing for the violent terror attack in Kunming. Chinese officials have said a group of knife-wielding “terrorists” from the restive Xinjiang region launched a premeditated attack at the Kunming Railway Station in China’s southwest on Saturday night. 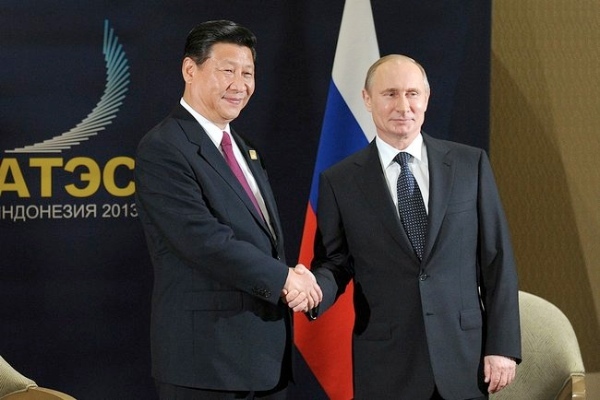 Xi also indicated the Russian President could visit China in the coming months to boost growing ties.